Leg garter to stash your tips. Escante Lingerie #1167 coordinates with the Fusion exotic dance wear series. Price is for a single leg garter. One Size Fits Most for 90-160 lbs. Leg garter to stash your tips. Escante Lingerie #1167 coordinates with the Fusion exotic dance wear series. 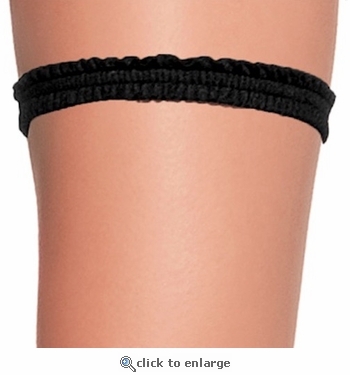 Price is for a single leg garter. One Size Fits Most for 90-160 lbs.